“If it’s not enforced and something happens, it’s a guarantee that the association will be named as a co-defendant in a case and have to contact the insurance company,” he said in one report. The article also notes that Brady lost his wife to cancer several years ago, and the case has drawn national attention after the newspaper published its initial story Dec. 23. Readers from around the country called and emailed to offer legal aid, alternative housing for Brady, and training for the dog. 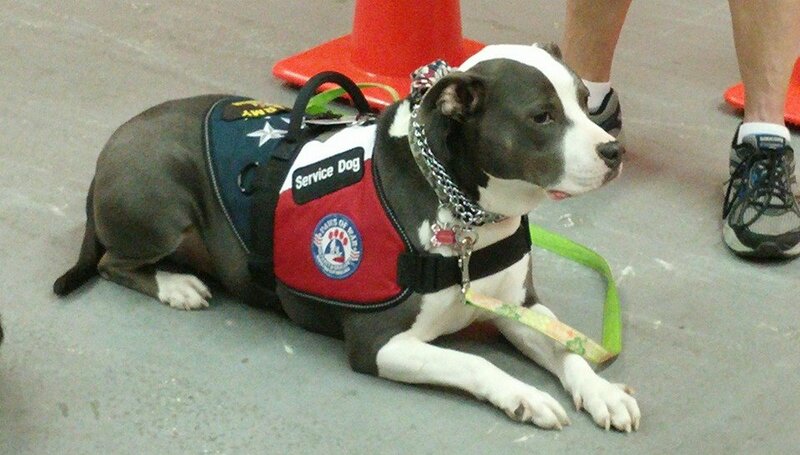 This included several groups specializing in training veterans’ dogs to become certified service animals. The founder of Texas-based nonprofit Train a Dog, Save a Warrior, Bart Sherwood also offered free training to Brady’s dog via trainer affiliates in the Daytona Beach area. “We’re trying to show the [Veterans Administration] where these dogs cut costs and help bring vets to a balanced state rather than the vet taking drugs,” he said. Given the amount of negative publicity that this case is now generating for the Orange Tree Village condominium, certainly the association’s board of directors and legal counsel are now considering the issuance of a variance for Brady’s dog that would be contingent on the canine’s continued benign behavior, training as a support animal, and a veterinary determination that the bully-mix is not indeed a banned pit bull. It should also meet with its insurance broker in order to document to its liability carrier the extent to which the association has gone to vet the case and reach its decision. Cases such as these can be extremely challenging for associations, which are dealing with explosive growth in requests for emotional support animals. While some requests may be highly suspect and dubious at best, this appears to be a case of a long-time resident whose dog has not previously demonstrated aggressive behavior. In such cases, association boards of directors should work extremely closely with highly experienced legal counsel in order to conduct all of the necessary inquiries regarding the case. Among other requests, this would include a request for supporting material from a mental health professional who is caring for the pet owner. Taking all of these formal steps and documenting them in the association’s meeting records from the onset will help to diminish any potential future liabilities while also demonstrating that the board will thoroughly investigate and reach a fair conclusion for every request for an emotional support animal that it receives. In addition, there is always the potential for negative publicity in such cases that could reflect poorly on the community, and avoiding such media coverage is always in keeping with the mission of association boards to maximize property values for all of the unit owners. Click here to read the latest report in the newspaper’s website.